Christmas in July is officially over. 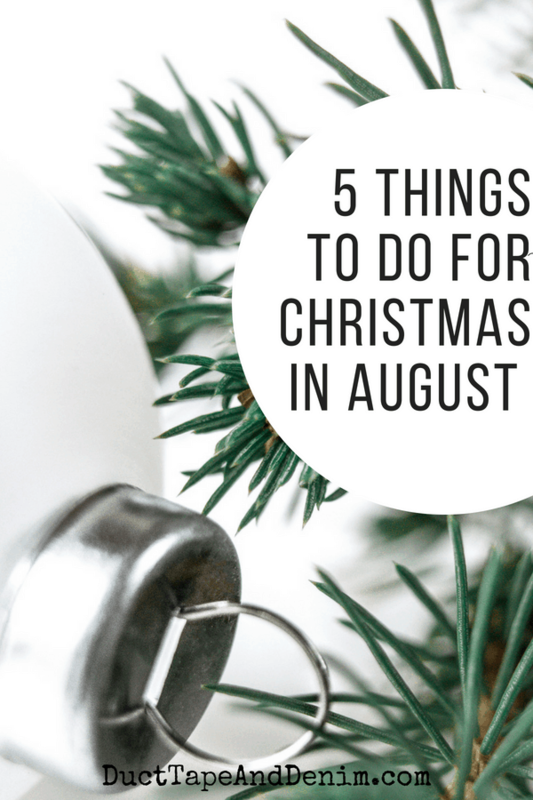 But there are still a few things I do to get ready for Christmas in August, too. 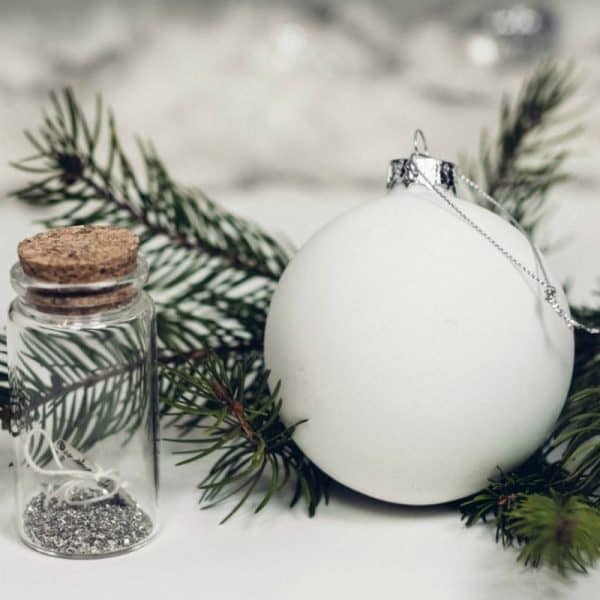 Remember that every little thing that you can get done early and every little bit of planning that you can do now will help the holiday season be a little more relaxed and enjoyable. I like to deep clean one room a month. This month we’re getting the bedrooms ready for the extra guests we’ll have during the holidays. Everything in the bedroom should be moved, cleaned under, dusted, washed, etc. Be tough and donate things you don’t use or need. It’ll be easier to clean in the future, too. Just in case you want a list to follow, I’m working on a deep cleaning checklist to share next week. Check back or sign up for my DIY home email list. If you have a lot of closets you may want to split these up and do one a month, too. August is a good time to sort through clothes before the kids go back to school and/or you start buying fall clothes. Again, be tough and donate anything you haven’t worn in 6 months, that doesn’t fit, or that you just don’t like. Think about creating a capsule wardrobe. It’s always good to get a headstart on Christmas cards but if you’re making them you need to move the date up even earlier. Craft stores already have their Christmas craft supplies out so buy or order some and get together with friends for a Christmas in August crafting party. If you’re following our monthly schedule, you made your gift lists last month. So get started now making those gifts! It always takes longer than you think. If you’re like me and use iCal or Google Calendar, print out some free calendar templates and start adding important dates as soon as they come up. Even if you use electronic calendars, it helps to visually see the big picture. If you want to enjoy the holiday season more and do a little to prepare for Christmas throughout the year check out these other articles… or click “next page” to go to the next article in the series. « How to Put Together a Summer Capsule Wardrobe at Savers Thrift Store + Giveaway! Great suggestions. Now if I can find the time…. I totally need to get started making some gifts I plan to make for my daughters! So smart to start early. Time will vanish after Sept. 1! So glad you share with us at Merry Monday! I was sitting down the other day thinking I really needed to at least start on my Christmas cards. I find if I start with them they help get me in the spirit and then I can move onto handmade gifts and planning. Every year I say I will do this, but I have never developed the habit! Maybe this is my year! Thanks for sharing at Thursday Favorite Things! Good ideas! Thanks for sharing at To Grandma’s House We Go DIY, Crafts, Recipes and More Wednesday Link Party! Pinned it to Pinterest! Hope to have you join the party next week! Once fall hits, I get the mood to start deep cleaning one room at a time. I like to have it all clean and organized before I pull out the Christmas décor. Thanks for sharing these tips with SYC.